Exhausted by the dizzying string of stories about MPs defecting from their parties? Well, the hot news today is that Ian Austin has become the latest MP to quit Labour. A keen cyclist, he’s finally got on bike and ridden out of the party he has represented for more than 26 years. In an interview with his local Express and Star newspaper, he cited Jeremy Corbyn’s failure to deal with anti-semitism in the party. Austin’s adoptive father Fred escaped the Nazis in 1939 (read this very moving account of his backstory), but the rest of his Jewish family perished in the Holocaust. The former minister made a wider point about the idea of Corbyn in No.10: “I could never ask local people to make Jeremy Corbyn prime minister”. He has long been one of the most combative critics of Corbyn and his allies, squaring up to figures like Chris Williamson and Ian Lavery. A key right-hand man to Gordon Brown for years, his departure will not be mourned by the Left. But it highlights how even ‘Brownites’ are now as far from Corbynism as ‘Blairites’ ever were. Austin said he won’t be joining The Independent Group (TIG) of MPs, which is no surprise, given that he wants Brexit delivered for his Leave-voting constituents. Meanwhile, the 11-strong not-quite-a-party-party are aware they have to maximise their new-found leverage as quickly as possible. One of the ways they wield power is of course in playing a key role in any new confidence votes that could trigger a general election. As I said yesterday, one key test will be just whether former Labour MPs are prepared to prop up Theresa May in future votes, and what their price would be if they did. Well, on our Commons People podcast, TIG MP and ‘fixer’ Gavin Shuker has revealed that if the PM agreed to a ‘confirmatory’ referendum on her Brexit deal, they would indeed keep her in power for a year or however long it would take to sort the new poll. “We need a general election like a hole in the head right now, we’re 900 hours to Brexit and we’re going to crash out without a deal unless something replaces that,” he says. Shuker first made his ‘confidence-and-supply’ offer even before he quit Labour, when he and fellow MPs met David Lidington in the Cabinet Office last month. The issue will be live again next week as Parliament votes on the Kyle-Wilson amendment (sounds like a Californian pop group but is actually Labour MPs Peter Kyle and Phil Wilson) demanding a confirmatory referendum. Several Labour MPs and shadow ministers are ready to quit to join TIG if Jeremy Corbyn fails to whip for a referendum (the Times reports), and the Guardian reports Keir Starmer argued strongly for Kyle-Wilson at Shadow Cabinet this week. In Brussels yesterday, Corbyn stressed a second referendum was “very much part of the agenda” in coming votes. Looks like there could be a ‘TIG-Dem’ coalition in the offing too, boosting their strength to 23 MPs. The ‘i’ newspaper has an interview with Vince Cable in which he suggests a partnership where the Lib Dems would not run candidates against the new grouping. In Shuker’s interview with HuffPost, he admitted he and the others would all probably lose their seats if they sparked by-elections. But overall I was struck by just how much he felt Labour’s conversion to Corbynism was irreversible. (Ian Austin echoed this point this morning, saying “I just can’t see how it [Labour] can return to the mainstream party that won elections and changed the country for the better.”) Intriguingly, Shuker also had a telling line that Corbyn could indeed become PM, partly because of voter weariness with the Tories. “Of course the Corbyn project is electable,” he said, but added he felt that very prospect was ‘scary’. Listen to the whole thing HERE. Is it a bird? Is it a plane? No, it’s Cooper woman. The Yvette Cooper-Oliver Letwin amendment is set for a big vote next week in the Commons, with many MPs attracted by the idea of forcing Theresa May to delay Brexit to avoid a no-deal ‘cliff-edge’ on March 29. The Telegraph has a leaked letter from the 100-strong ‘moderate’ Brexit Delivery Group of Tory MPs calling for a free vote on Cooper-Letwin. They say they’re ‘deeply troubled’ by the prospect of a no-deal exit, warning it would trash their party’s reputation for competence. Speculation has sparked again about the number of ‘members of the government’ (which means bag-carrying PPSs as well as ministers) ready to take a stand over a no-deal. A few weeks back the figure was as high as 40. Today, the Guardian says as many as 25 are ready to vote for Cooper’s plan, with one saying they would not resign voluntarily and would have to be sacked by the PM. Robert Peston yesterday named nine ministers who had told May to her face this week she had to rule out no-deal. As it happens, the EU’s Michel Barnier declared in Brussels yesterday that no-deal was a “very serious and very present” prospect. The FT has a scoop that the EU now even has a new deadline of April 18 for a last-ditch deal with the UK, after 20 days of ‘disorder at ports, supermarkets and borders’. One key way for May to avoid the Cooper plan to bind her hands is of course to bring back a second meaningful vote early next week. It’s still possible that May could indeed squeak her revised Brexit plans through Parliament (maybe even as early as Tuesday). If she succeeds, that could leave the new Independent Group of MPs high and dry, as their main cause celebre disappears. Even if the EU27 isn’t quite ready to formally sign off a new ‘joint interpretive instrument’, I understand Attorney General Geoffrey Cox could make a statement on Tuesday (the day before Cooper is due) outlining a new draft version of such an instrument, to test Commons backing for it. Yet what’s been really striking is how ineptitude on the part of both May and her whips may have snatched defeat from the jaws of victory. Last week’s own-goal motion allowed the European Research Group to flex its muscles, a show of strength that spooked many ‘moderate’ Leavers and Remainers. We report today how May has failed miserably to engage with Labour MPs who abstained on the Cooper plan last month. At least five of the 25 Labour rebels in Leave areas are now ready to back Cooper on Wednesday. One described the government as “useless”, and another said ministers were “a bunch of amateurs”. Some say they’ve been won over by Cooper’s reassurances that this version is better than her last plan. May has a lot of work to do. Chancellor Philip Hammond is among those who back Fox’s instinct that cutting tariffs is a key way to keep the UK competitive in the immediate aftermath of dropping out of the EU without a deal. But opponents of no-deal think the zero-tariffs plan would be a rash move that could cripple both British farming and the ceramics industry, with ministers lobbying hard for high levies on imports to protect them both. A new analysis this morning by the GMB, the ceramics union, warns 22,000 jobs will be lost if the plan to ‘smash the potteries’ goes ahead. HuffPost has a blog from local Labour MPs Ruth Smeeth and Gareth Snell warning of the damage too. In one of those strange, treading-water events that characterised this week’s Commons business, Fox yesterday made a statement on trade deals, without actually mentioning what his department later confirmed: that the UK won’t be able to roll over EU-Japan or EU-Turkey agreements in time for March 29. Fox repeatedly stressed that China and Russia would dominate future trade and that an independent UK would be well placed to target those markets. His critics pointed out that you could still do that (as Germany has) and remain a member of the EU. Watch this dog try its best to join in a dice game. MPs have been appalled by the Jewish Chronicle report revealing that 200 students at Essex University voted to block the creation of a Jewish Society. The society was approved, but despite the opposition of 36% of students in an online vote. Just as worrying are the remarks of a lecturer Dr Maaruf Ali, who objected to “the Zionists” wanting to their own student society at Essex and who has shared white supremacist, anti-semitic posts on Facebook. Essex’s vice-chancellor this morning vowed to root out anti-semitism. On the wider point, read this powerful Twitter thread from former Australian trade negotiator Dmitry Grozoubinski. The Mirror has splashed on a story claiming that ‘hundreds’ of head teachers are piloting bans on school-run cars in a bid to protect the pupils from air pollution. With asthma on the rise, campaigners have long called for moves to stop parents making short journeys to school rather than walking with their children. Ella Adoo-Kissi-Debrah, 9, died after suffering a severe asthma attack in 2013 in Lewisham, south London. Her mum tells the paper the night she passed away coincided with one of the highest recorded spikes in air pollutants and particulates near their home. 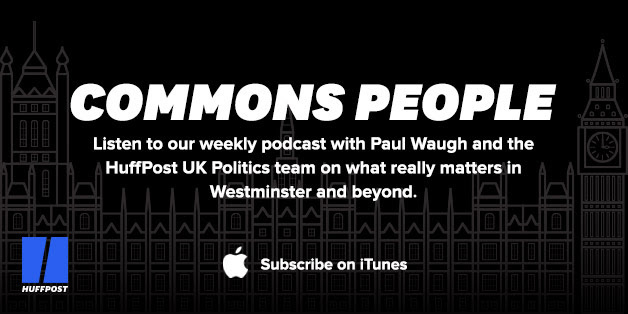 Our latest CommonsPeople podcast is out, with our guest this week former Labour MP Gavin Shuker. The key ‘fixer’ for the new Independent Group of MPs (he registered the legal vehicle for it in January), he reveals how he cooked chicken and chicory dinners at a secret getaway where the potential defectors first met to discuss their plans. See how he fares in this week’s quiz too. Click HERE to listen on Audioboom. And below for iTunes.